I’ve been a little out of love with Dublin recently. The weather’s been grim: grey skies and endless rain, and I’ve been sloshing about in the sodden knowledge that tomorrow will bring more of the same. Except tomorrow surprised me, at least when it was yesterday, and I woke to sunshine and the sudden joy of a blue sky. I work near the port and parked my car in its usual spot. I was early enough to dawdle – another miracle – and stood watching the Liffey, so calm it looked almost motionless. A silver haze skimmed its surface, stippling the hulls of sailing boats nodding in the marina. Starlings on overhead wires chirped noisily. A handful of geese flew in from the park; took a turn on the mirrored water. It all seemed civilised, somehow, a momentary truce between man and nature. Across the river, a yellow crane stood like a giant Meccano set. 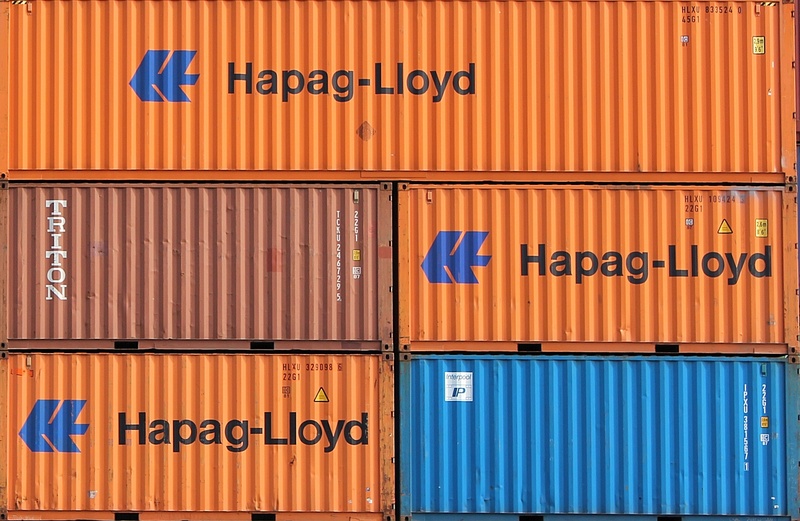 A line of trucks waited to board the ferry: their corrugated containers bright and cheerful. The day seemed full of potential; full of promise. The feeling wouldn’t last. I knew that, even as I wallowed in it. Still, something profound seemed possible: some insight hovered like the haze over the water. I took a breath and turned away. Last Christmas, I posted a video of the choir of St. Mary’s School for Deaf Girls (Dublin) performing Fix You by Coldplay. So many people enjoyed their lovely, eloquent interpretation. (Watch it again here.) This year, by request, I’m posting another video of my favourite choir. Here the girls are joined by friends from St. Joseph’s School for Deaf Boys, as well as hearing peers from two neighbouring schools. The result is a loose, joyful version of Fairytale of New York. Enjoy, and a happy Christmas to all! No sign of the geese yet. At least, not in this part of the world. I’ve been keeping an eye out for them, scanning the sky beyond the church steeple. But it’s a little early, I know. Still, I can’t help glancing skywards, listening for their harsh rruk calls. Plenty of geese up in Strangford Lough. Pale-bellied brent geese have been arriving in their thousands. Left Canada in August; stopped off in Greenland and Iceland. Now they’re in Northern Ireland, catching their breath before dispersing to the rest of the island. A good portion will spend the winter in Dublin, and I’ll watch them fly back and forth across the bay, measuring time and distance in rapid wingbeats. There’s an old radio documentary that follows the brent geese on their 4000km journey from Bathurst Island in Arctic Canada to Dublin, Ireland. You can listen to it here. Last year, I was lucky enough to meet Dermot Healy. Healy’s work includes A Fool’s Errand, a book-length poem about the annual migration of barnacle geese from their breeding grounds in Greenland to their wintering quarters in Sligo. His book captures his joy at the birds’ return, ‘….they come – from gaggle to skein – in beautiful stitches/along a thread.’ But there’s sadness too: the death of a friend, the passage of time. Healy’s subsequent death adds to the poignancy. Lots of birds visit our garden in summertime, thanks largely to a prolific raspberry bush. But the winter is quieter. A bird table would bring some welcome guests, but might it be the equivalent of opening a fancy restaurant beside the old neighbourhood café? I’ve been thinking about where this interest in birds comes from. The people at Entropy Literary Magazine have made space for my musings. You can read my essay On Not Looking here. I rarely talk about my daughter’s deafness. That story is hers to tell. But I sometimes talk about being the parent of a deaf child. The distinction is important. One approach invites appropriation, the other introspection. 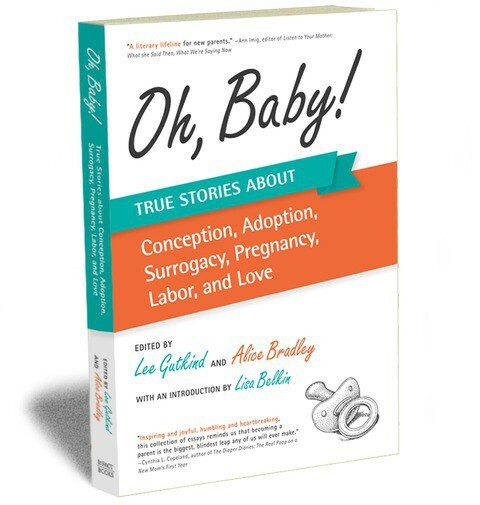 That said, I’m delighted my essay The Shell of your Ear appears in Oh Baby!, a new anthology from Creative Nonfiction. The essay explores my reaction to my daughter’s diagnosis, and the long, sometimes rocky road to acceptance. I’m thrilled that it’s found such a good home, nestled among so many beautifully written essays about parenthood. You can find out more about the anthology here or enter a draw for a free copy here. Meanwhile, I’ve been thinking back to my daughter’s early days and the moment I found out she was deaf. My first coherent thought was that she’d never hear poetry. I was inconsolable, even though I knew, in my more rational moments, that few people consider poetry essential in life. But that was the point. I wanted her to have more than the prescribed essential. I wanted her to have art and literature and music; to have moments that transcended the ordinary, moments of ‘glad grace’. I wanted her to experience language as something more that pragmatic. I wanted her to experience it as sublime. I’m embarrassed that I once paid so much attention to the written word, so little to the unspoken. Mostly, I’m mystified that I thought any of my children would grow up to love poetry. One of the great things about reading in public is that you meet so many talented people. Last weekend, I shared a stage with Inni-K, whose lovely voice has been filling my house ever since. Here she is performing Come with Me from her debut album The King has Two Horse’s Ears. Enjoy! You’d think having no work for the summer would be conducive to writing. But unstructured days lead to unstructured thoughts, and the weeks go by, sweet and slow. The laptop stays closed; the camera uncharged. A few trips, of course. The midlands, the west of Ireland. And a return to Jersey, the largest of the Channel Islands. I love islands; left my comfortable life in America to return to the one I was born on. I’ve been happy ever since. But Ireland, small as it is, seems big at times, and the impulse to retreat asserts itself. Sometimes that retreat is to an island off the west coast. Wild and rugged, it hurls itself at visitors like an Atlantic storm. A weekend visit can leave me exhausted, exposed. Exhilarated. This year’s trip is long overdue. Meanwhile, I managed to spend some time on a different island, in a different country. My visit to Jersey was a gentler affair: lazy days and cocktails, mostly. My friend Roy blogs about the island over at Back on the Rock. 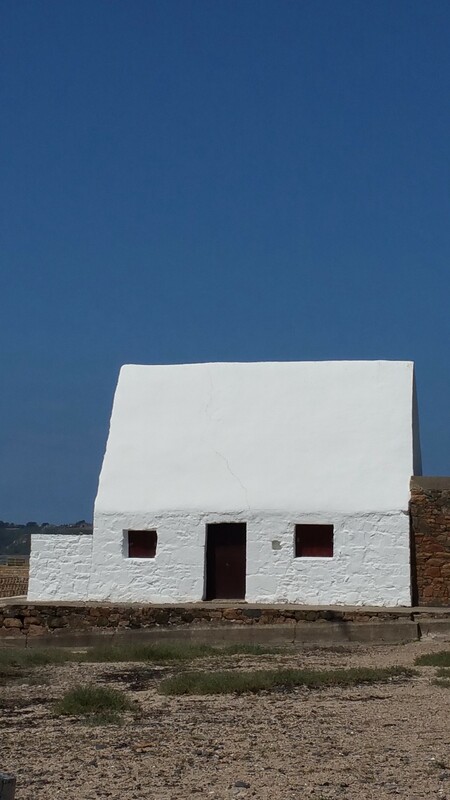 Roy writes about the island’s history, explores its parishes, and posts photos and slide shows of this lovely corner of the world. He does a much better job of conveying the island’s beauty than I ever could, and his blog is well worth a visit. Jersey, along with the other Channel Islands, was occupied by Germany during the Second World War. If you’re interested in history and searching for an enjoyable read, have a look at The Guernsey Literary and Potato Peel Society. It’s a lovely, skilful novel that’s charming and funny, poignant and sad. It’s hard not to be captivated by it. We’ve been spending our Saturdays in Wicklow recently, hanging around while one of the kids does one of her things. There’s no shortage of things to do, so we’ve been taking advantage of the three-hour wait, exploring the countryside and visiting some of its historic homes. A few weeks ago, it was the turn of Killruddery House, home to the Brabazon family since 1618. Over the years, the house has been modified but the 17th century gardens still survive in their original style. The sun was splitting the stones on the day we visited, so we skipped the tour and settled for a wander around the grounds. There may have been a nap on the lawn. The current (entirely lovely) owners of Killruddery support the house through the usual mix of weddings, festivals, and family fun days. They work to make the estate an asset to the local community. But beautiful estates in Ireland are usually built on ugly histories. And our happiness is balanced by others’ sorrow. Hard-won knowledge hovers at the edge of enjoyment, like a shadow gap or half-remembered song. Occasionally, we manage to push it away; to lie on the grass and feel the sun on our face. At least on a Saturday. I work around the corner from the Fair Play Café, so you’d think I’d drop in more often. But I’m usually rushing after class, heading off on some mindless errand. The café is located in a 19th century mission hall. By the 1990s, the hall was in danger of collapse and its trustees were desperate, until local man Joe Donnelly stepped forward, offered to turn it into a community hub. To add a little spice to the tale, Joe used to vandalise the hall when he was a kid, back when he didn’t put much thought into things. Today, he puts a lot of thought into a lot of things. Example one: Every year the proceeds of the café (and associated projects) are donated to charity – 80% to charities in developing countries, 20% to charities in Ireland. Last year, €20,000 was donated. 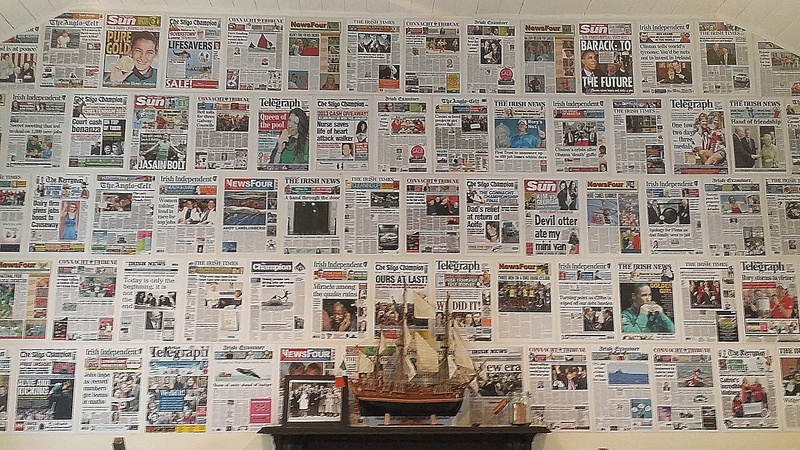 Example two: The back wall of the café is the Good News Wall. Joe thought his customers might enjoy a break from the bad news of austerity, so he asked newspapers to send him copies of front pages displaying good news. They sent enough to cover the entire wall. Example three: The café’s latest initiative is a Wednesday night supper club for the elderly, lonely or unwaged. The proceeds from the nominal cover charge will be used to support a community project. Joe left school when he was fifteen. A few years’ ago, he had the chance to complete a Master’s degree. The subject of his thesis? The terns are back! Every spring, Ireland plays host to five species of terns, including the Arctic Tern and the Roseate Tern. The birds arrive from West Africa and Antarctica, and breed in a handful of colonies on the east coast. 80% of the endangered European population breed in Ireland, mostly on the small island of Rockabill. 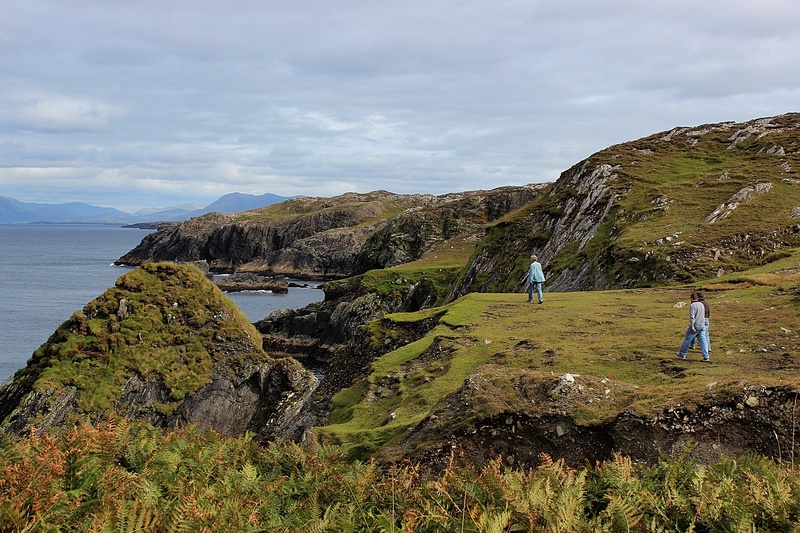 The island (two rocky outcrops, really), is smaller than a football pitch and located 7km from the coast. Two hardy wardens will be in residence throughout the summer to help protect the birds and their chicks. Over 1200 pairs of Roseate Terns are expected on Rockabill this year and the wardens have been busy clearing vegetation and setting out 700 nest boxes. You can follow their progress on http://rockabillterns.blogspot.ie/. The Artic Tern also breeds on Rockabill. This 4-ounce ‘sea swallow’ holds the record for the world’s longest bird migration, travelling up 71,000km each year, or approximately 2.4 million km over its lifetime. That’s about three trips to the moon and back. It’s only in the last few years that miniature transmitters have made it possible to track small birds like the Arctic Tern. Researchers were surprised at the zigzag route the bird takes. Terns tracked in Holland and Dublin flew to Cape Town, turned into the Indian Ocean, flew to Madagascar and the Seychelles, then over to New Zealand and Antarctica. A migration of other sorts at the weekend. 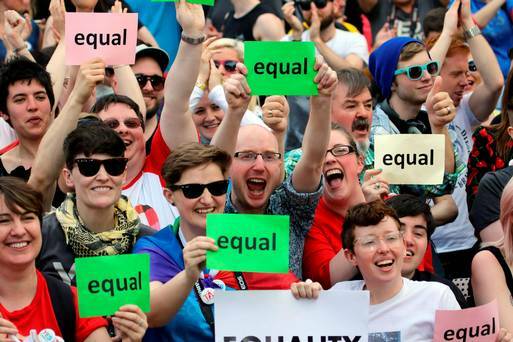 Irish people from around the world came home to vote in the Marriage Equality Referendum. They flew in from Thailand, Kenya, and Sweden; Abu Dhabi, Canada, and Australia; the US, South Africa, and Britain. Technology made it possible to follow their journeys too, and the hashtag hometovote lit up the twitterverse. It was a humbling to witness. 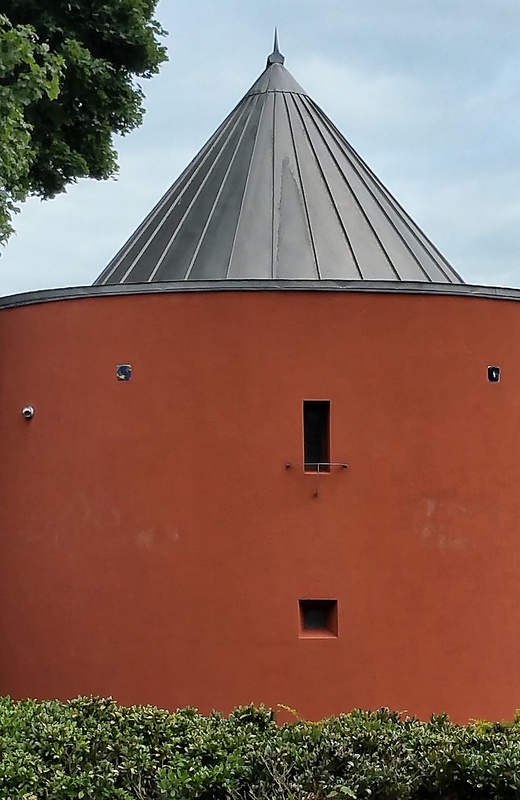 And joyous. A lot of the returning emigrants were young, first-time voters. Fledglings really. They came back when it mattered. I’ve been dragging my feet recently, feeling a bit meh. Nothing too wrong. Maybe it’s the weather. Spring arrived with sudden sunshine, but the past few weeks have been dull and wet, a reminder (as if we needed one) that the weather in Ireland is capricious and the concept of summer remains a precarious one. Or maybe it’s the end-of-term busyness, the paperwork and box-checking that’s as far from teaching as it’s possible to get. Or the knowledge that a bad thing happened to a good person I know, which reminded me of the bad things that happen to the good people I don’t know. Whatever the reason, I’ve been slouching about, flitting from one book to another, finding it difficult to burrow down and settle on any one thing. In moods like this, I abandon novels and switch to short forms: essays and poetry, mostly. Facebook occasionally. 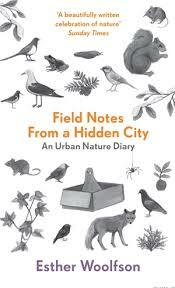 I’ve been dipping into Field Notes From a Hidden City by Esther Woolfson, a lovely, lyrical account of the urban wildlife Woolfson encounters over the course of a year in Aberdeen. Woolfson is an engaging writer, and weaves snippets of science, myth and history into her own wonderfully nuanced observations. She and fellow Scot Kathleen Jamie have whetted my appetite to visit Scotland, and I’m hoping that by admitting that here, I’ve somehow assured myself of its happening. I first read Jamie a few years ago on Inishbofin. Maybe it was the influence of the Atlantic or maybe it was the calling of the gulls, but her essays seemed to me a kind of homecoming. I return to her work again and again, always eagerly, always gratefully. Here she is reading from her essay The Hvalsalen. Enjoy.